The vacation planning websites listed below are my personal recommendations. Whether you use them as your free international travel guides for your next destination or simply browse them for great vacation suggestions, each is an excellent one-stop online vacation planning guide. Whilst writing this guide to La Maremma in Italy, I sometimes come across other holiday destination websites that stand out from the crowd as five star sites. Jam-packed full of quality information, suggestions and tips, the low down on special offers, great restaurants, places to stay... and packed full of great photos. Plus a whole host of information that you won't find in any guide books to the city or area. And so, whilst they have nothing whatsoever to do with Maremma (! ), I wanted to share these great finds with you. With each of these vacation planning websites there is an additional bonus: they are all insider guides written by people who live in the city or area and know the places like the back of their hands. And, they are completely free. 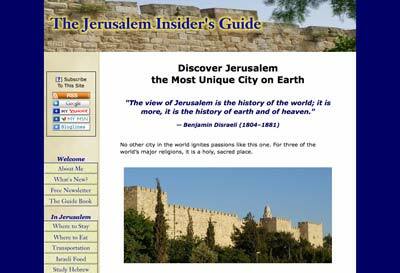 Myriam's website about Jerusalem commences with the words, "No other city in the world ignites passions like this one..." and promises to show you the city from the inside, sharing with you places and experiences that you just won't find elsewhere. And she does. Within her pages you will explore this vibrant and multi-cultural city as though you were walking alongside her. Read about the city's history and legends, the major sites and tours, and then find out about the lesser known treasures to discover and the heady mix of culinary influences and places to eat. Thinking about visiting Australia and the Gold Coast in Queensland? Want to know when is the best time to visit, what the weather will be like when you do, the best places to stay whether you are a surfer or couple on honeymoon, where to go whale watching... taking the whole family and want to know what attractions there are to keep them all amused and happy? 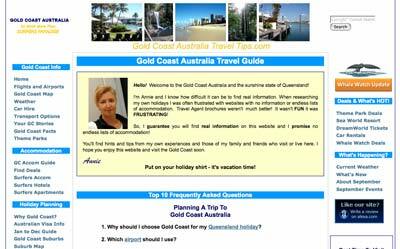 Then Annie's website - Gold Coast Australia Travel Tips - with her wealth of insider knowledge will help you decide which suburb, which beaches, which apartment or hotel, which car hire company - in fact, the lot. Planning a trip to Australia can be daunting, but with all of the easily referenced information in Annie's website plus her questions and answers pages where you will probably find that someone has already asked just what you wanted to! planning one to the Gold Coast just got easier. 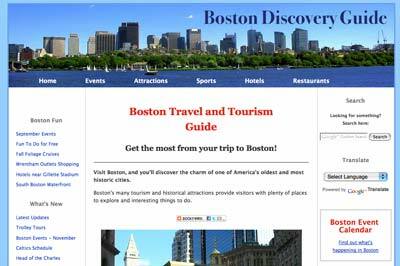 In the Boston Discovery Guide - written by Susan - you will find everything about and associated with Boston. Its history and architecture, sports, tours, cruises, shopping malls, beaches, art, colleges and universities... as well as hotels and other places to stay, restaurants, museums and a wealth of attractions and activities. In fact I don't think that there isn't anything Susan hasn't covered about the city! But the best bit is that reading this website is like listening to a friend who lives there who wants you to have a great time, doesn't want you to miss anything, and at one and the same time tells you the good along with the things you might want to avoid, such as queues and getting stuck in traffic! Planning a special weekend break in The City of cities? Want to fit as much in as possible whilst you are there? 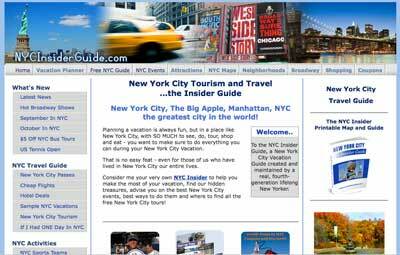 Finding the number of websites about The Big Apple, Manhattan and NYC overwhelming? Don't worry: just let Melissa the author of NYCInsiderGuide.com take you in hand planning your trip and it will be all that you dreamt of and more. This website is for every woman of any age who has travelled alone and wants to do it again, or who has always dreamt of doing so but never has. Written by Leyla who has travelled the world independently since she was just fifteen years old, it is packed full of everything you want to know about what to take, how to stay safe and healthy, unusual destinations, dealing with culture shock, the lot. BUT, what makes this website special is that it covers everything that you worry about, as only a woman writing for women can. 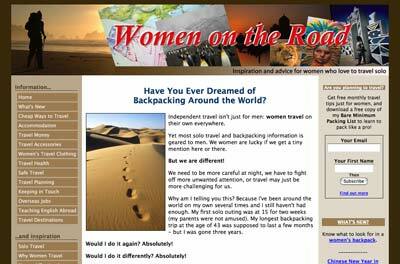 Escape a little and dip into a world of solo travel... www.Women-on-the-Road.com.